Will Your Future Office Look Like This? Technology has taken the world by storm, and one of the places where this transformation is most evident is the current office. Computers and computer networks decorate the interiors of most modern offices, with servers taking the place of typewriters and smartphones effectively replacing telephones. 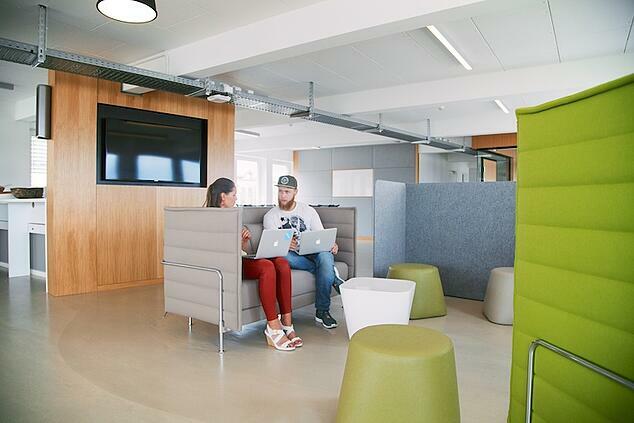 Even the way the office space is designed has changed significantly. Function now determines what resides within the office, and corporate culture determines who is going to be in the the office and for how long. This transformation isn’t coming to a stop any time soon. If anything, the future office promises even greater changes. So, what exactly should we expect to see? Nicole Fallon, an assistant at Business News Daily spoke with two experts in office space design and what’s apparent is that the architecture of office spaces will be making a gradual shift, particularly on the three fronts of technology, layout, and culture. Technology, the experts expect that there will be significant changes to today’s email inboxes with real-time messaging becoming the new focus of in-the-office communication. “There are countless startups focused on reimagining email inboxes, building real-time messaging for the workplace and tackling the challenge of weaving together disparate cloud services into a unified experience,” says senior vice president at Jive, Mr. Oudi Antebi. 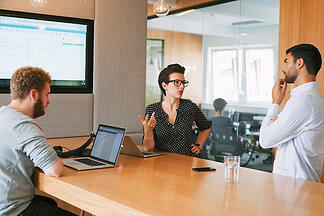 Jive is a social business software provider. Actually, it is believed that experts are already thinking of life after emails! Layout describes the way a space is arranged and this again will change quite a bit. With collaboration emerging as a key factor to how companies will operate and succeed, offices will shift from cubicles and closed door offices to an open floor plan that will allow for a more dynamic work environment. This shift is also being fueled by the cost benefits of eliminating physical barriers and a focus on sustainability. Not building interior walls saves companies money and prevents sending this material to the landfill when the company's needs change. However, do not expect a complete shift overnight. 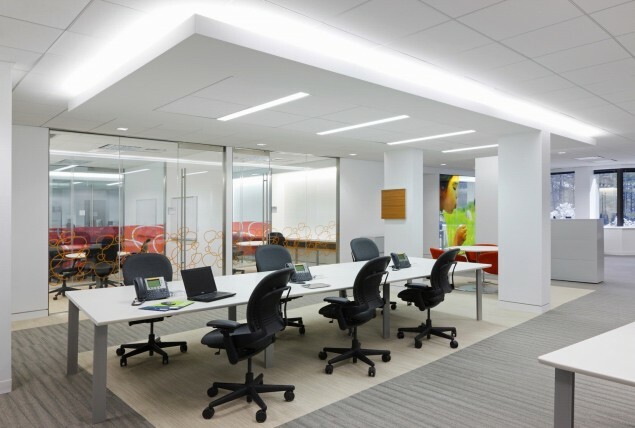 The more likely scenario is open layouts with private spaces for discussions and meetings. Then there is the changing “office culture” in general. Initially, employees had their own space and privacy and it was just meetings, meetings, and more meetings. That has changed and will continue to change even more in the future. There is an increased need for employees to work closely on projects. Companies now realize that it’s more productive and the best known way of sparking new ideas within the organization. In addition, this generation of workers wants to build meaningful relationships with co-workers and that can only help the organization in the long run. Alongside the three factors listed above, some experts have added transparency, hospitality, and sustainability as other factors that will impact on the design of the future office. Designers are unanimous in agreement that because transparency is the key to collaboration, it even supersedes technology as the key driver for changes in office design. “Formality is on demise” and the evidence is everywhere. Work spaces are either literally transparent with glass walls and doors or completely barrier-free with spaces that are shared by everyone from the top executives to the bottom employee. “What our clients value is the access to ideas,” says Seattle-based architect, Brad Pease. "A formalized lobby area with a reception desk that I have to staff is a space that is not generating any ideas for us." So, Pease suggests that these spaces should be incorporated into the main building so that clients can see work in progress, as soon as they step into the office. In terms of hospitality, designers are looking at what is going on in cafes and successful hotels and incorporating these concepts into the design of new office spaces. Indeed, you might have already been at an office that has a café at the reception area, where you are offered an espresso as soon as you’re in the office and can watch work in progress from where you’re seated. Finally, sustainability has and will continue to drive future development in just about every industry. Manufacturers of office interior products are already focused on using recycled content and materials that are helpful to the environment. So important is this "Green" and "Sustainable" movement, that companies are already planning now for how their products will be disposed of at the end of their life cycle. In fact, some manufacturers of furniture have recycling and disposal programs for their customer's old chairs when they buy new chairs from them. This trend of companies and people who are becoming increasingly mindful about the environment will not be changing anytime soon. Change is coming! And while it might be uncomfortable for Baby Boomers and Generation X employees, it is also exciting to see what will be accomplished when the office of the future provides a launching pad for technology and collaboration to soar. Something tells me...we haven't seen anything yet!